Taxon: Lejeunea laetivirens Nees & Mont. 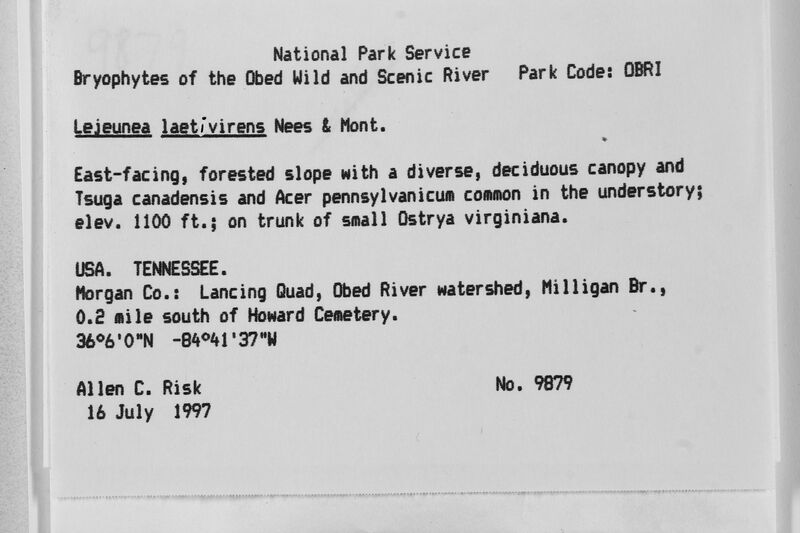 Locality: United States, Tennessee, Morgan, the Obed Wild and Scenic River, Bryophytes of the Obed Mild and Scenic River Park Code: 0BR1. Lancing Quad, Obed River watershed, Hi 11igan Br. 0.2 mile south of Howard Cemetery.